Join Marni Entrop and Karen Gamble for a Spring Retreat at the magical Haramara Retreat north of Puerto Vallarta, in Nayarit, Mexico. Haramara means “Mother Sea” in the native Huichol Indian language. This retreat offers the atmosphere for you to feel your connection to the earth, to the sea, and to yourself and experience relaxation, renewal, and restoration. At Haramara you will find yourself nestled in tropical jungle vegetation with vistas that soothe the soul. Local artisan-designed cabanas are electricity-free, inviting us into a deep connection with nature’s rhythms and our own subtle body. Beach access and a stunning infinity pool allow you to enjoy sun, water, and the tropical climate. Our yoga practices will focus on mindfulness and awareness of the energetic qualities of our being. Our teachings will incorporate the ancient science of Ayurveda, Yoga tune-up therapy, yoga folklore and philosophy. There will be opportunity during the retreat to self reflect through yoga and meditation as well as igniting creativity through journaling, ocean gazing and Mexican Culture. The experience will serve as a beautiful opportunity to deepen the relationship with yourself. We will offer a perfect blend of asana practices, meditation, self-inquiry, and free time. Additional experiences are offered with a fee. These include cooking classes, trekking and zip-lining, massage, bodywork and more. Take this opportunity for yourself to unplug and take your yoga practice to new depths. Come home to yourself in the special magic of Haramara. Visit their photo gallery to see cabanas, setting, pool, and more. Single: $3,195 – waitlist only, please email capitolhill@8limbsyoga.com to inquire. 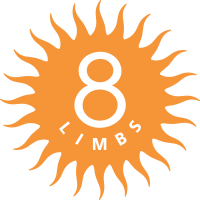 Double: $2,225 – waitlist only, please email capitolhill@8limbsyoga.com to inquire. Triple: $1,995 – waitlist only, please email capitolhill@8limbsyoga.com to inquire. Dorm: $1,725 – 4 SPOTS LEFT! Note: We will do our best to accommodate your rooming preference but cannot guarantee this. There are a limited number of single rooms available. Please specify at registration any roommate preferences. Please also let us know if your preference is for a shared double bed. To Register: Please call our Capitol Hill studio at 206.325.8221. We advise you to register soon as our retreats tend to fill. Full payment due upon registration. Make all checks to 8 Limbs Yoga Centers. or Register Online using our WeTravel registration portal. Cancellation Policy: Refund of your payment(s) less a $75 cancellation fee per registration until 12/1/2018. No refunds will be given after 12/14/2018. Marni offers creative and knowledgeable class sequences combined with spiritual tradition and personal inquiry in each of her classes. She invites her students to be strong and healthy in their body, connected to their hearts and guided by their spirits. She is a certified Ayurvedic Wellness coach and uses the sister science to help assist people in their understanding of their health and bodies. She is a mother of two, wife, retired US snowboard team member, avid surfer, enthusiast of nature, and forever student of the ancient study of yoga. Facilities: Haramara has pool, private beach, and a wellness center offering massage and other body treatments (additional cost).